What makes DriveTime stand out from the rest? 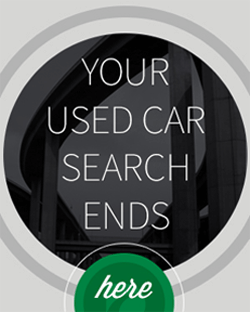 There's a lot of choices out there when it comes to choosing where to buy your next used car. You know that a Toyota dealership is different than Honda, so why is it that everyone thinks all used car dealers are the same? Honestly, we're offended. You probably already know you should comparison shop to find the best deal for a vehicle, but have you ever considered evaluating which dealership may provide a better experience? The price of the vehicle is certainly an important factor, but what about the dealerships level of customer service, return guarantee or warranty? All of these things can make the world of difference between simply making a transaction and having the best automotive purchasing experience of your life. We won't tell you where to buy your next used car, but we can at least show you what you'd be missing out on if you decide to buy from the "AutoRow Superstore," which doesn't actually exist, but it could. Drivetime is THE WORST! How can you spout this BS? 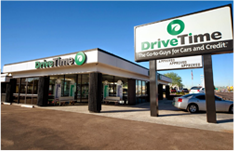 Buying a car from Drivetime in 2013 was the worst experience buying a car I’ve ever had! I’m still paying for it! Just took my Drivetime POS to the mechanic for the 40th! time in 3 years. Major electical issues. Car was in the shop within 24 hours of buying it! Beware Drivetime! STAY AWAY! Honestly. Shame on you Drivetime. Shame. Hi Joe – I am very sorry to hear about this. I’d like to see how we can turn your experience around. Can you please send an email to RM-customerrelations@drivetime.com with your account number and the name on the account? Once we receive this information, you will be contacted.